A haven of mindfulness, wellness and calm – The Isbourne in Cheltenham is the perfect antidote to busy lifestyle, as the SoGlos team discovered when we trialled a range of its classes. From its base on Cheltenham’s Wolseley Terrace, The Isbourne plays host to a range of sessions to inspire a ‘happier, healthier and more positive life’. SoGlos wanted to try out some of the acclaimed classes, as well as some of the more unusual experiences on offer; so armed with comfy clothes and open minds, we made our way to The Isbourne for a series of calming experiences we’re keen to repeat. Armed with warm socks, fluffy blankets and stack of comfy pillows, our team was unsure what to expect from a gong bath at The Isbourne, but was pleasantly surprised by this unusual evening of group meditation and relaxation. Luckily for the more sceptical members of the SoGlos group, there were no actual baths involved in this activity, instead the ‘bath’ element allows participants to be bathed in the sound of large gongs played throughout the session. Led by John and Tanya Carter, the session started with a meditation from Tanya. We were told to focus on light around our upturned palms, shooting out lightning as we breathed in and out, in time to a zen-like soundtrack. Following this was the gong bath, where John used his 10 years of experience to provide ‘sound healing’ through the playing of two large gongs tuned to different planets. The sonic resonance of the gongs was surprisingly immersive. Rather than sounding like a gong being struck, the sound came in waves, surrounding the room and reverberating from every surface. This truly provided the illusion of being bathed in sound, causing some members of the group to fall asleep. Reflexology at The Isbourne is a non-invasive, one-on-one treatment performed by a holistic therapist. Concentrating on the feet, hands and sometimes head, a therapist will massage different reflex points which are linked to every part of the body. My treatment was booked in with Cathy Bebbington, and was a fascinating experience which left me feeling completely calm and contented – similar to if I’d just had a full-body massage. The treatment began with a short health consultation, where I felt perfectly at ease, thanks to Cathy’s warm nature. After opening up about my ailments she helped me pick three essential oils to make up my very own ‘blend’ that would be used during the treatment. I ended up with Benzoin, Frankincense and Ginger – certainly a potent smell, but judging by the way I felt afterwards, it clearly worked its magic! The in-depth foot massage was firm and relaxing, and not at all tickly like I’d imagined it to be. Perhaps the most interesting part was when I almost dropped off into a silent slumber, as Cathy put pressure on the centre of my foot; something I later learned was the solar plexus, representing emotions, stress and anxiety. Observations from Cathy after the treatment suggested that I wasn’t drinking enough water and not taking enough screen breaks due to excess stress in my shoulders and neck – both very accurate! The experience was both relaxing and eye-opening, leaving me keen to experience more complimentary therapies in the future. Taking our pick from the pillows for our feet, we took our seats in the Mindfulness and Meditation session with meditation expert, Kathryn Buxton. We began the session with simple breathing exercises before we moved on to learning to relax each part of our bodies – from our heads right down to our toes. Kathryn talked us through some simple techniques from focusing on our breathing, listening to sounds in our immediate surroundings, and listening to noises from outside of the room. The technique, although simple, had even the most sceptical of us feeling relaxed and much more in tune with ourselves. Developed in Japan centuries ago, Reiki is a form of hands-on healing and something I’ve never experienced before. Meeting the lovely Bridget at The Isbourne, we headed down to her treatment room which smelt incredible with lavender burning and calming music playing. Laying down on the bed, Bridget began to gently place her hands on my head and the overwhelming feeling of warmth soon started to appear. Passing energy flows through the healer and into the patient. The treatment works by giving the receiver the energy to take, in whichever way they need it. Surprising myself completely, I soon fell asleep and felt completely relaxed – the perfect treat after a long day at work. With lasting effects for up to 21 days, the treatment is definitely one I’ll be returning for. Walking into a talk from self-proclaimed ‘stand-up philosopher’ Tim Freke, I’ll happily admit that I was incredibly nervous. Feeling particularly out of my depth, I tried to keep an open mind, despite being unable to shake the feeling that I was about to brainwashed. But in actuality, I was pleasantly surprised (and relieved) by Tim’s warm manner, eccentric presenting style and casual attire. Engaging with the audience, he discussed his latest philosophy, which combines the theory that there is a spiritual element to our existence, but that the advances of science cannot be ignored. While I can’t say I agreed with every part of his philosophy, it was certainly an interesting experience which sparked thought and debate amongst my family upon my return home. Tim Freke recently cancelled all events and appearances for 2019 to concentrate on his next book, so the opportunity to see one of the modern philosophical greats right on our doorstep, is certainly an opportunity to be thankful for. Having the opportunity to simply relax without the distractions of social media, work emails, or family responsibilities, was utterly refreshing. It’s not often that you get the luxury to be without your phone for a lengthy period of time to think about your wellbeing, and it’s an experience the SoGlos team would highly recommend. The range of treatments, classes and workshops at The Isbourne is eclectic and ever-changing, so keep an eye on its timetables to discover new and exciting therapies which might appeal to you. 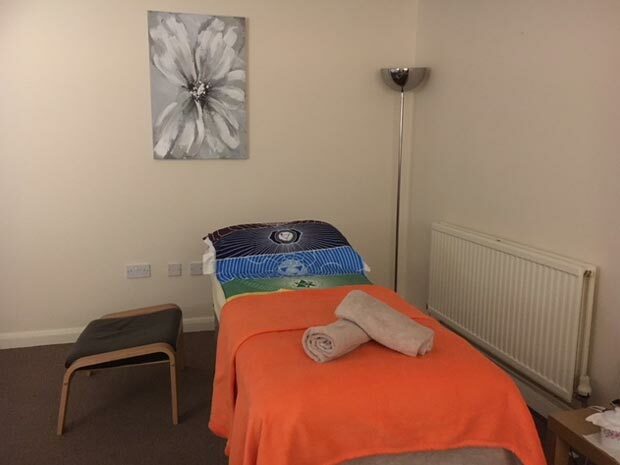 There’s also the opportunity to take part in holistic training, which can allow you to perform your favourite treatments on your friends and family, and pass on those good vibes! For more information, see The Isbourne, call (01242) 254321 or visit isbourne.org directly.